Commonwealth Laminating & Coating, Inc. Specially created to not interfere with cell phone, radio or navigation signals. Professional Grade Tint ~ for Everyone. 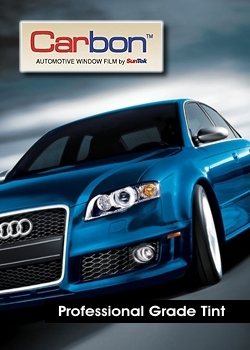 SunTek is committed to providing the Best Quality Automotive Films at the Best Price. SunTek Automotive Films have the looks that sell themselves as well as outstanding performance features. Carbon-dyed construction provides a great look that will not fade. No metal layers that may interfere with cell phones, radio, or navigation system signals. Provides excellent optical clarity while reducing day and nighttime glare. Lifetime Warranty protects against peeling, cracking, adhesive failure, demetalization and delamination. 'Click' Here to view product specifications. Price shown is based on a 20"x 100' roll of material. Cost adjusts as desired width is selected.